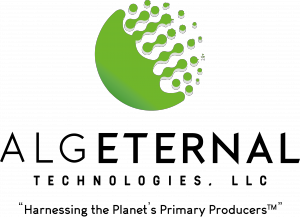 AlgEternal's logo represents microalgae as powerful, natural, sustainable microfactories. Don't just treat your soil; Agtivate your soil! LA GRANGE, TX, US, April 1, 2019 /EINPresswire.com/ -- AlgEternal Technologies, LLC, a producer of high-value products from microalgae, has joined the Algae Biomass Organization (ABO), the trade association for the algae industry, as the group’s latest platinum-level member. David Ramjohn, Chief Executive Officer of AlgEternal, also took a seat on ABO’s Board of Directors. Ramjohn has been an individual member of the ABO since 2013 and, as CEO of AlgEternal, envisions enormous benefits from the new corporate membership.